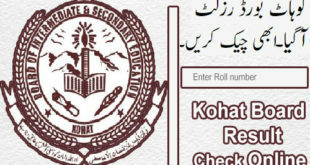 All pakistan education boards result can be checked by sms through mobile phones. This is most easiest way to check result 2019 by sms in few seconds. But this paid mean that GSM networks deducts up to 10 Rupees for 1 students result. This way method is best if you just want check your own result and you have no internet facility. I case of multiple peoples like fellows, friends, colleagues etc may this not cheap way and not affordable. The best way always check result online with web portal. By the way We here to know how to check result by SMS below step by step process is given please follow. 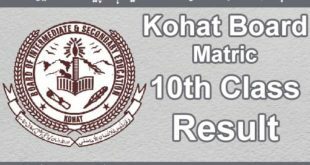 Remember Each board have different code to check the result by sms on mobile phone So please first of all please note your concern board code from following table. Open the mesg type writer window and type board short name & roll no. please put your board slip roll number. 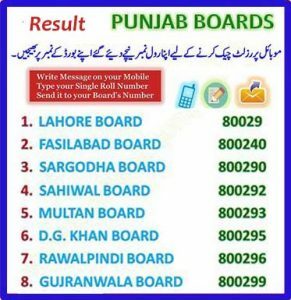 For example: if your roll number is 126421 and your board is Lahore then please type in message biselahore <Space>125742 send to 80029.
for more understanding view the below image. Note down this method is applicable for all the network including jazz, telenor, ufone, Warid and Zong. Students can now receive the require information/Result on his/her mobile. This the result result 2019 by SMS. For this you need to a mobile phone any operators. Go to your message option and Type board short name like biselahore<space> Your roll number and then, Send the Message to board code. Peshawar model degree college mardan. same with us donated some rupees tried 3 times but no result found. why so?